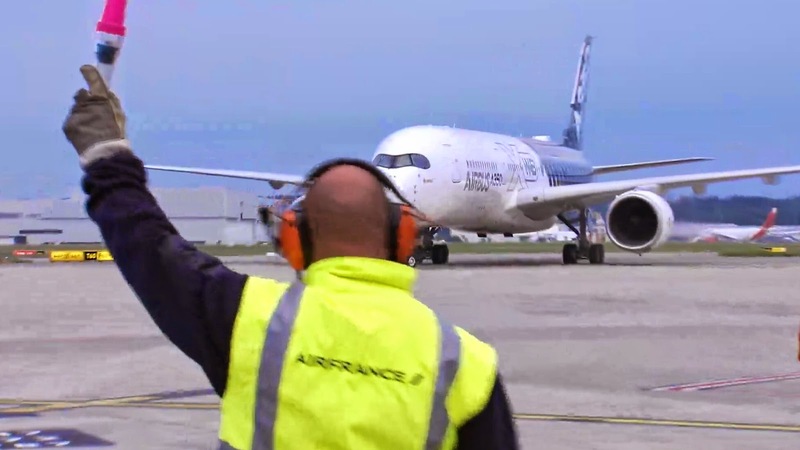 For the A350-800, Airbus still has no clear answer. It is contractually obliged to deliver the first aircraft in 2016, one year ahead of the -1000, although it has been trying to delay entry into service to around 2020 while redefining the version. Some observers have suggested that the -800 might be killed once the reengined A330 has been formally launched. Airbus is putting no work into the -800 now, but Evrard says shrinking the -900 would not be a very difficult task. “The -800 will not require a lot of development work. And with the backlog reduced, we have some more headroom to maneuver,” he says. The number of firm orders for the smallest A350 is down to 28. It is unclear whether the current official position is only a polite way of saying Airbus essentially does not want to build the aircraft. 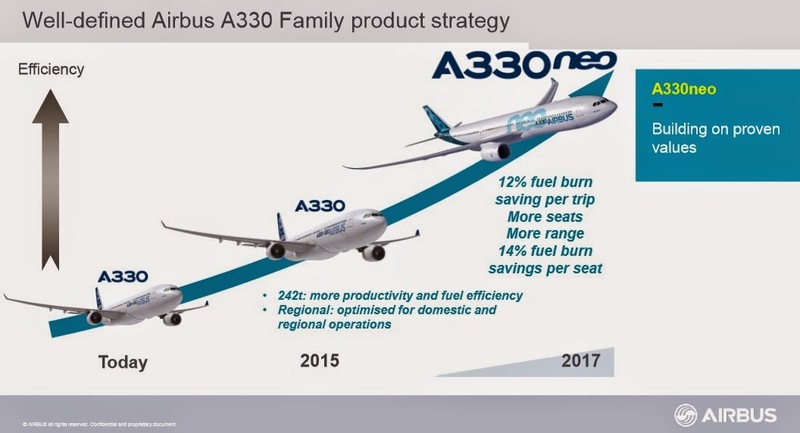 There are very real concerns that the A330neo makes the A350-800 redundant. "History has shown the manufacturer with the biggest twin-engine jetliner wins"
This is the conclusion by Richard Aboulafia -vice president at aerospace consultancy Teal Group- when talking about the bigger and bigger aircraft that are currently under development by both Boeing and Airbus. In the historically boom-and-bust global airline industry, it is mostly boom times again. After a withering global economic crisis, tourists and businesspeople are again traveling. Rising airline profits are fueling demand not just for more jets, but for larger models that only Airbus and Boeing can build—and which are more profitable for the plane makers. "The average size of aircraft has been moving up. 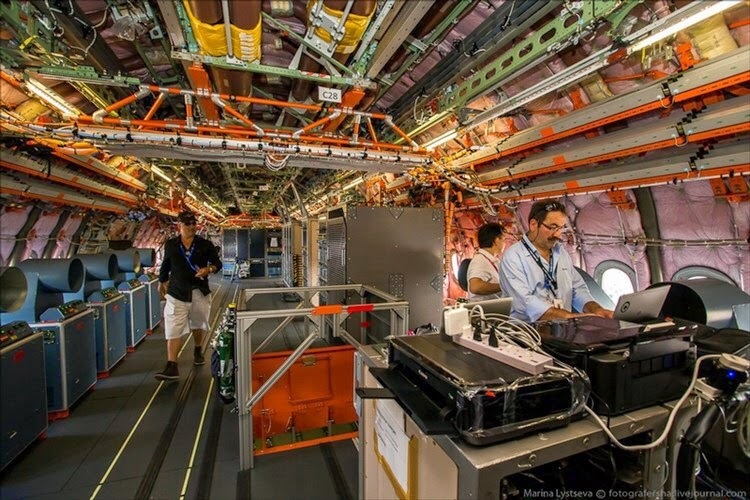 Every year it gets slightly larger," said John Leahy, chief salesman for Airbus's commercial-plane unit. In profitable times like these, carriers are drawn to larger jets to carry more passengers without having to add flights. Though bigger planes cost more to buy, airlines can spread costs across more passengers by adding seats, often without requiring much extra staff. Both manufacturers have begun to adapt their production plans and even their jets to reflect the shifting market. Over the next 20 years, Boeing estimates the average twin-aisle, or widebody, jetliner will grow by about 20 seats. 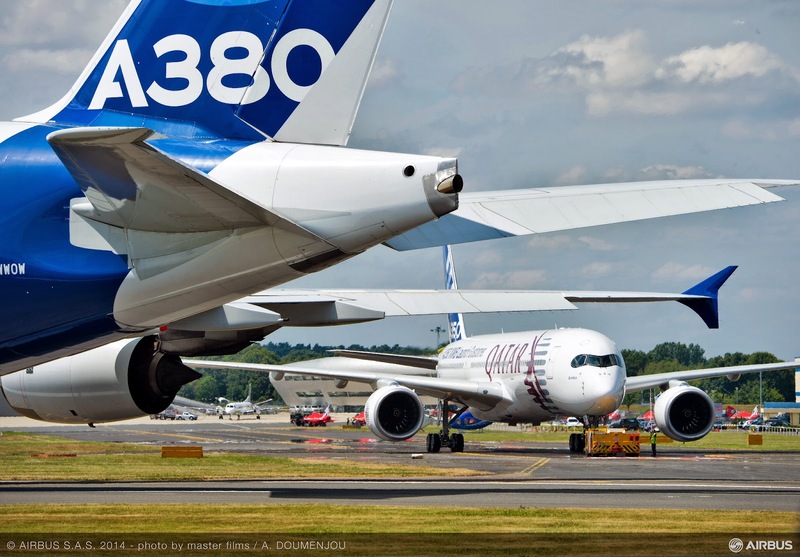 In Airbus A350 XWB family, interest has fizzled in the smaller A350-800. The bigger jets bring design challenges. 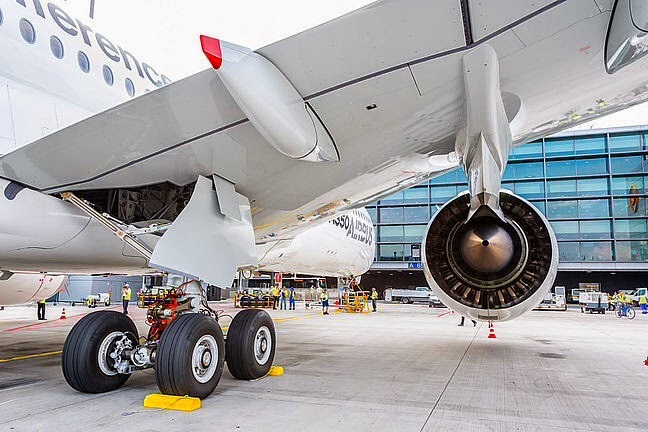 Airbus is adding extra landing-gear wheels and upgraded the engine design for the bigger A350 model, which is expected to be delivered in 2017. Boeing, meanwhile, will fit folding wingtips to its planned bigger 777X to allow the jet to use the same gates as smaller planes. Is the extra effort worth it? Up to a point. While bigger is generally better, airlines tend to favor twin-engine jets over more costly and even bigger four-engine models. Airlines worry they can't profitability fill planes that seat more than 450 passengers. If travel demand weakens, airlines tend to hedge with smaller jets to maintain frequencies at lower capacity. While carriers in much of the world are enjoying the good times again, there are early warning signs too many big jets have come into the market. Deutsche Lufthansa and Air France-KLM in recent weeks issued profit warnings as capacity on intercontinental routes has outpaced demand. "It goes in swings and roundabouts," AerCap's Mr. Kelly said. Based on the article “Plane Makers' Sweet Spot: Bigger, but Not Too Big” published in The Wall Street Journal. A350 World Tour continues; MSN5 will be flying between Hong Kong and Singapore until 31/July. 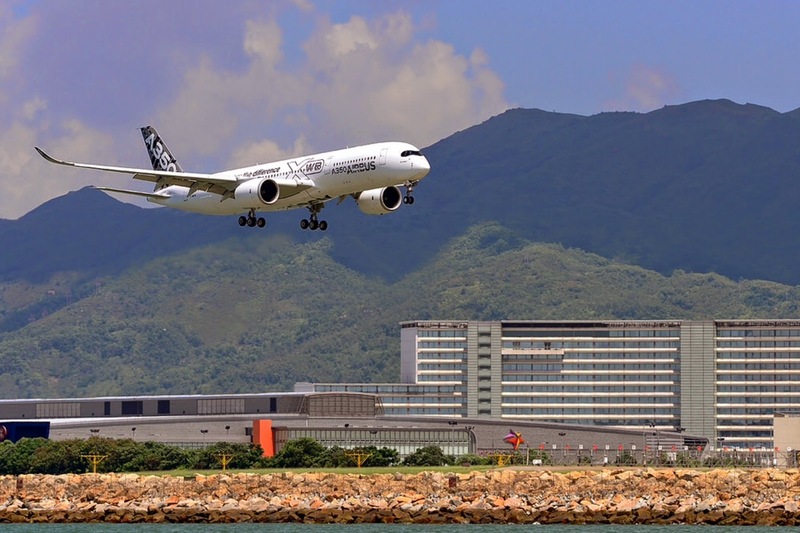 The Airbus A350 XWB landed for the very first time at Hong International Airport (HKAI) last 28/July. The aircraft, MSN005 has to fly a representative airline schedule, demonstrating its maturity for airline operations. This route proving exercise is the last of the trials required for Type Certification, which is expected in September this year. The aircraft will be operated by Airbus flight crews with Cathay and Singapore crews witnessing some flights. 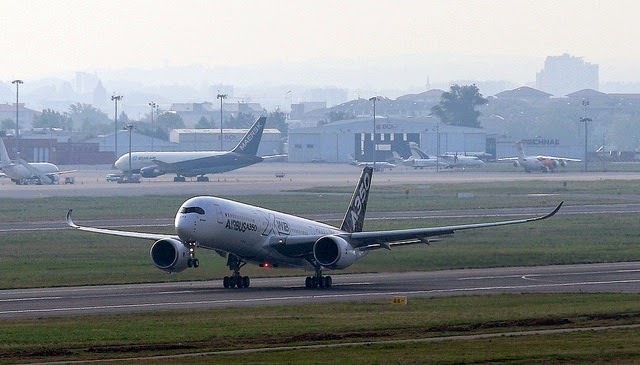 For its visit to Asia, the MSN5 arrived directly in Hong-Kong from Toulouse and will carry out crucial hot and humid tests similar to normal airline operations in the region. 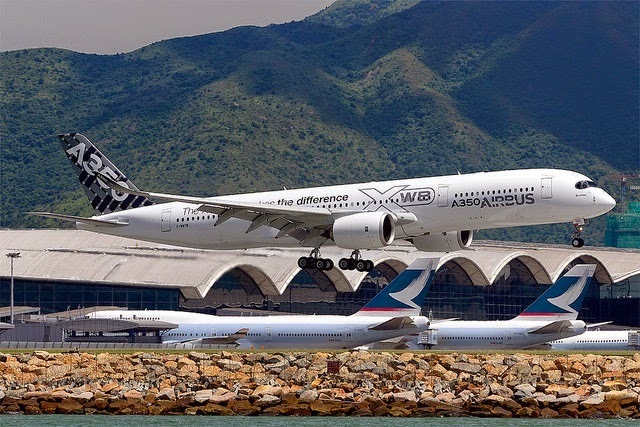 The aircraft will perform a series of high frequency flights between Hong-Kong and Singapore over 3 days before departing back to Toulouse on 31/July. 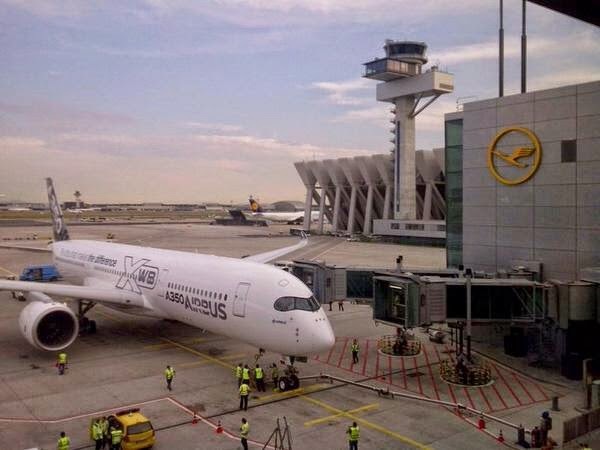 Airbus A350 will then depart to Johannesburg, South Africa, on 2/August. The A350’s World Tour will end on 13/August after visiting 14 airports around the world. 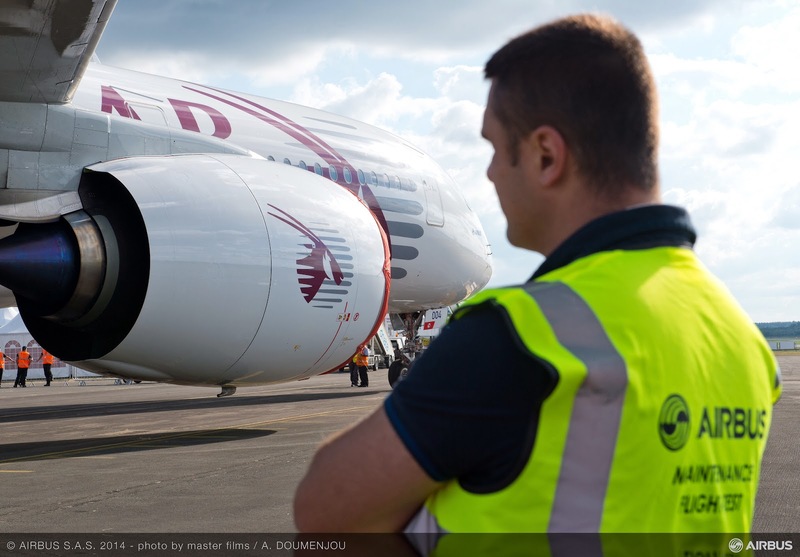 A350 overweight concerns were part of the reason for Emirates´ Order cancellation. In this article by FT, it is stated that Emirates Airline dropped the contract for 70 A350s last month partly because of concerns about the aircraft’s weight, and therefore its fuel consumption. 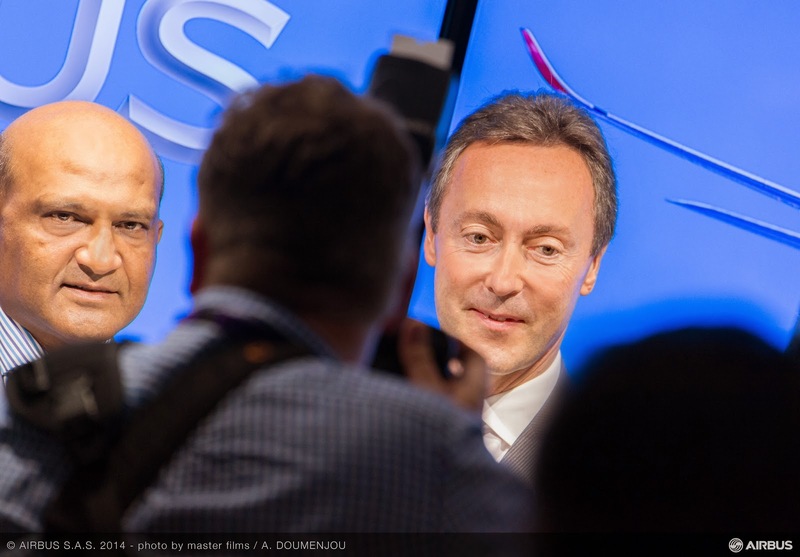 In the article there is available an interview with Airbus CEO Mr. Brégier who answers to many questions concerning the A380 and the A330neo too. 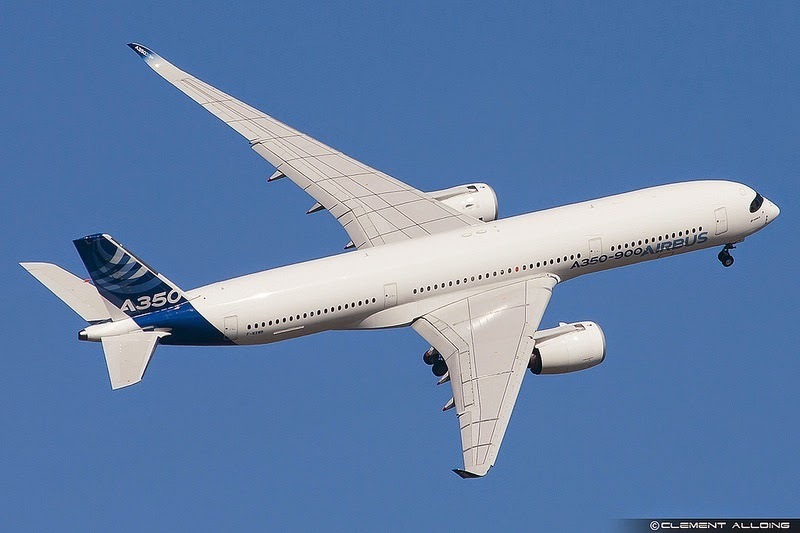 Hawaiian Airlines cancels their A350-800 order the week after Farnborough Airshow. 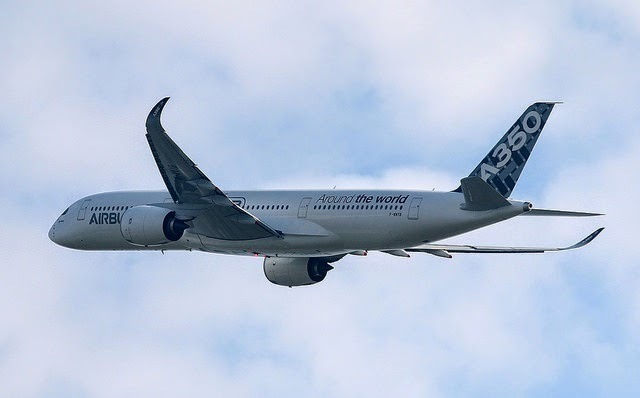 If the Farnborough Airshow balance for the A350 was poor with only 4 A350-900 included in the MoU of Air Mauritius, it could be in red-numbers if Hawaiian Airlines announcement of switching from their 6 A350-800 to A330-800neo would published one week before. 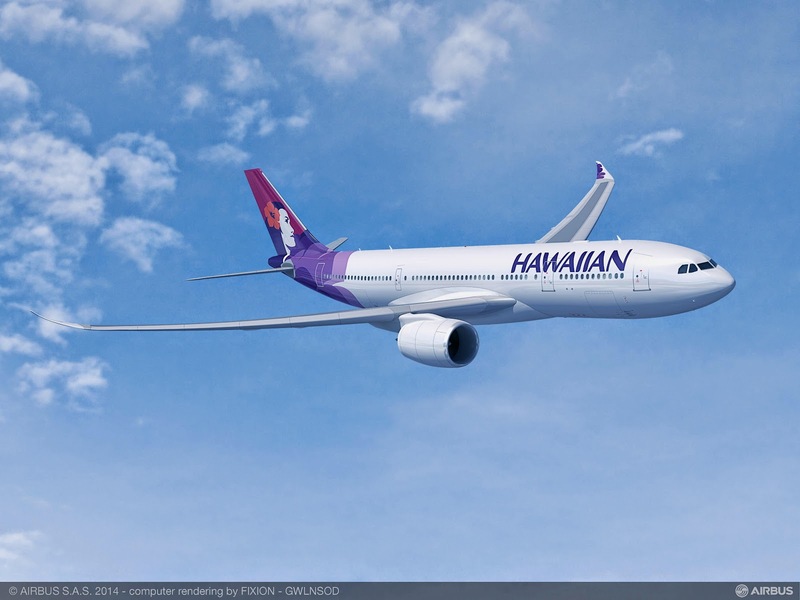 Hawaiian Airlines has signed a Memorandum of Understanding (MOU) with Airbus for 6 A330-800neo aircraft, replacing a previous order placed by Hawaiian for 6 A350-800s. 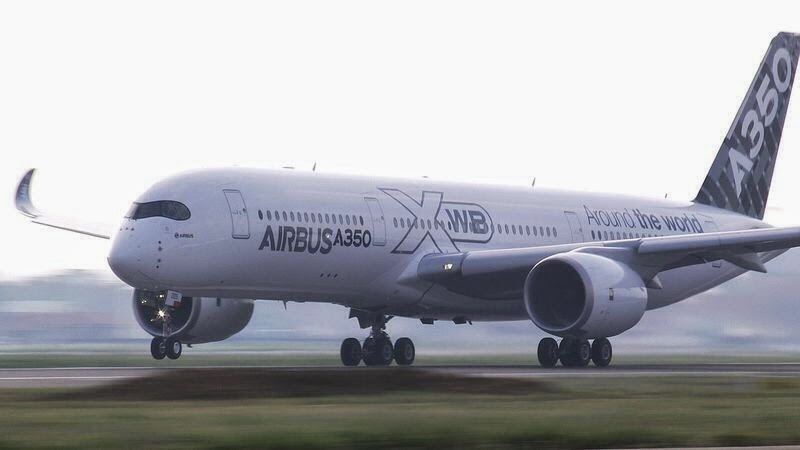 Airbus now has only 28 firm orders left for the A350-800, the smallest version of the A350 XWB family. 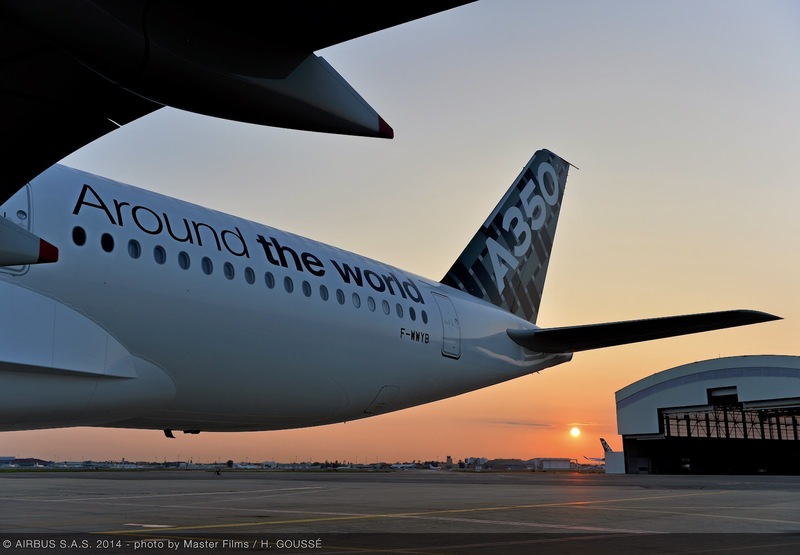 The A350-800 trails its larger cousins by a wide margin, with 543 orders for the -900 and 169 for the -1,000 on its books. 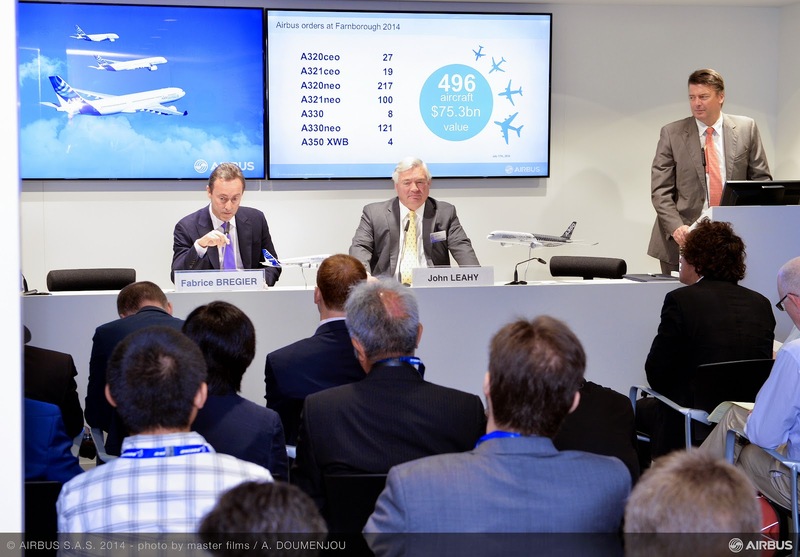 The total orderbook for the A350 XWB family is 740. It’s widely thought that the program will be canceled once Airbus is contractually able to do so. The 28 remaining firm orders are from Aeroflot (8), Asiana (8), AWAS (2) and Yemenia (10). Hawaiian was considered to be one of the customers most difficult to convince of the move because of the airline’s long-range requirements. 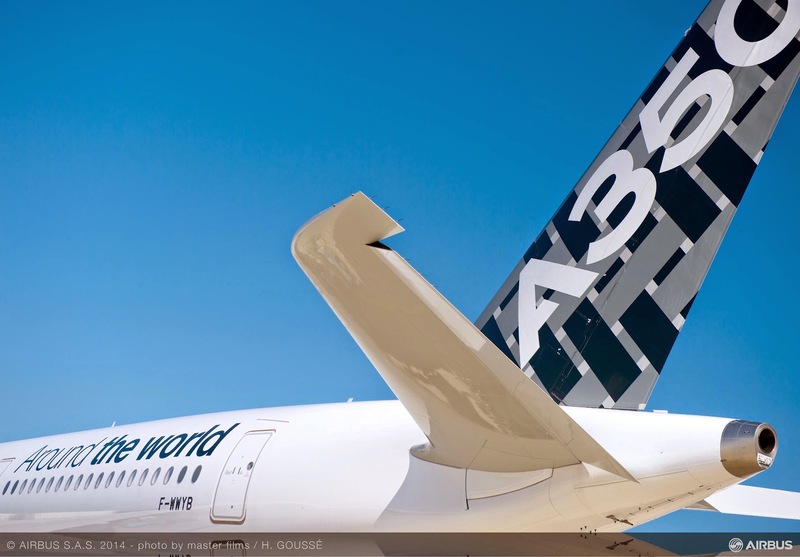 Its decision is a major breakthrough for Airbus. 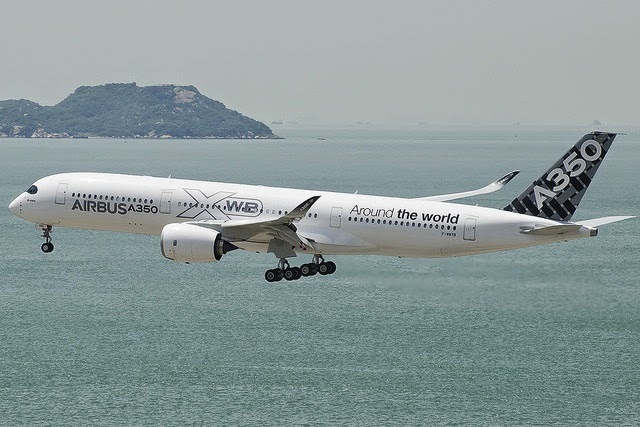 Based on the article “Airbus A350-800 loses more orders” published in Wichita Business Journal and based on the article “Airbus A350-800 Order Book Down To 28 Aircraft“ published in Aviation Week. Last critical test done prior to A350 certification. Braking at high speed and high weight. 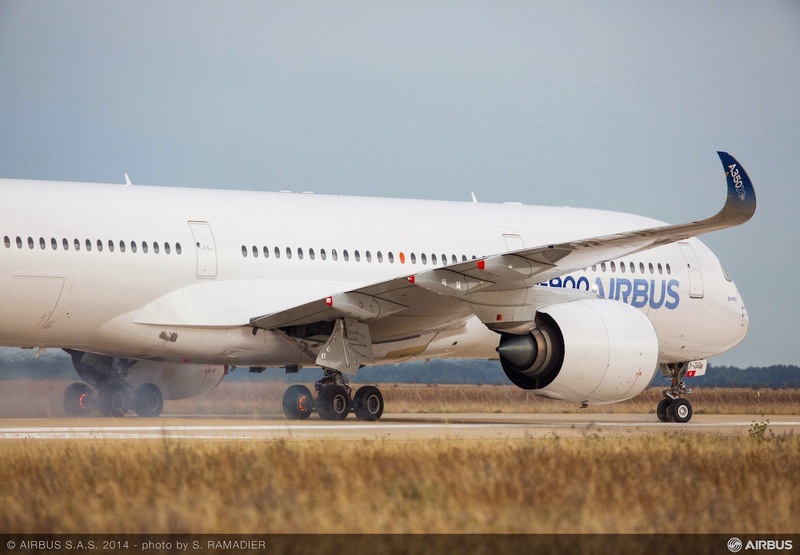 Airbus has carried out last 19/July the maximum-energy rejected take-off with its MSN1 prototype at the Istres base, final major test prior to certification of the A350-900. While the A350 had already conducted rejected take-off tests (‘High Energy Rejected Take-Off’ HERTO) some months ago with MSN3, the maximum-energy event is intended to examine the extreme case of a rejection at high speed and high weight with braking capability at its limits. 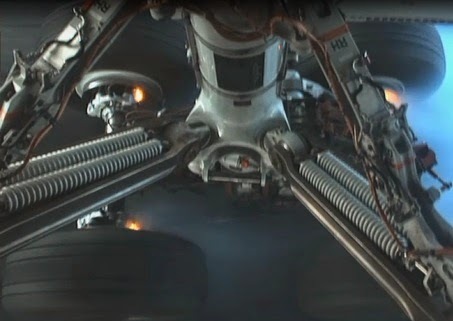 Airbus says the brakes reach a temperature of around 1.400 ºC as a result of the energy absorbed in stopping the aircraft. Under the certification criteria the aircraft must remain standing for 5 min before firefighters can cool the brakes. 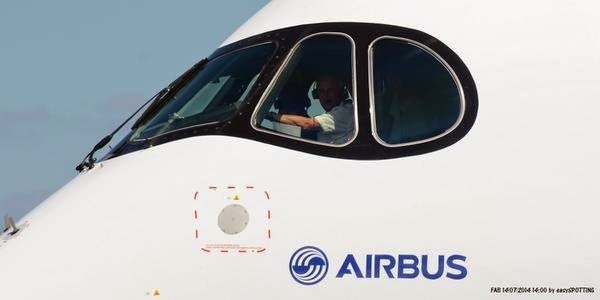 Airbus says the test was "successfully performed" and the test team received full support from the “DGA (Délégation Générale pour l’Armement) – Essais en vols”, which played a key role in facilitating the test. The maximum-energy test (MERTO) is left until last because of the risk of damage to the aircraft. The video of this test will be populated in coming weeks buy Airbus. 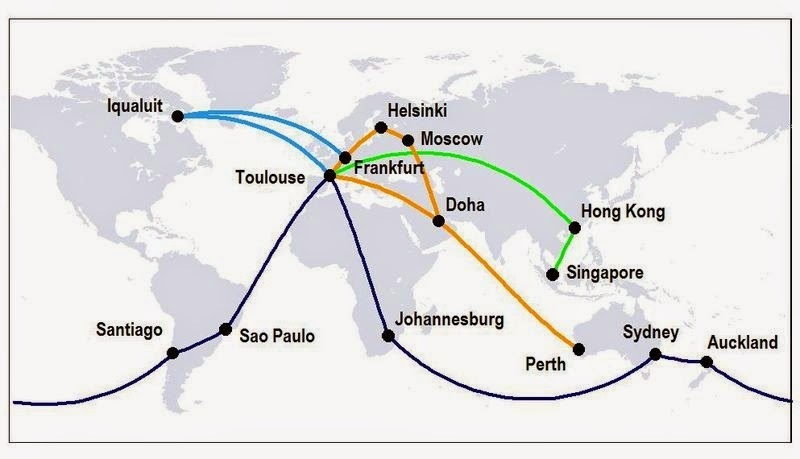 A350 route proving all around the world for 3 weeks. MSN5 flight test prototype, equipped with cabin interiors, has already began a 3-week route-proving campaign, marking the start of the final certification stage for the A350-900. This aircraft that is equipped with a furnished cabin comprising 265 seats, will operate a “world tour” taking in 14 airports across the world and a route via the North Pole. Tests will include performance from high-altitude airfields, automatic landings, as well as airport turnaround and handling, to prove the Rolls-Royce XWB-powered aircraft is ready for airline operations. Route-proving flights will be operated by Airbus crews with participation from airworthiness-authority pilots from the European Aviation Safety Agency (EASA). Some flights will be flown with passengers on board, said Airbus. 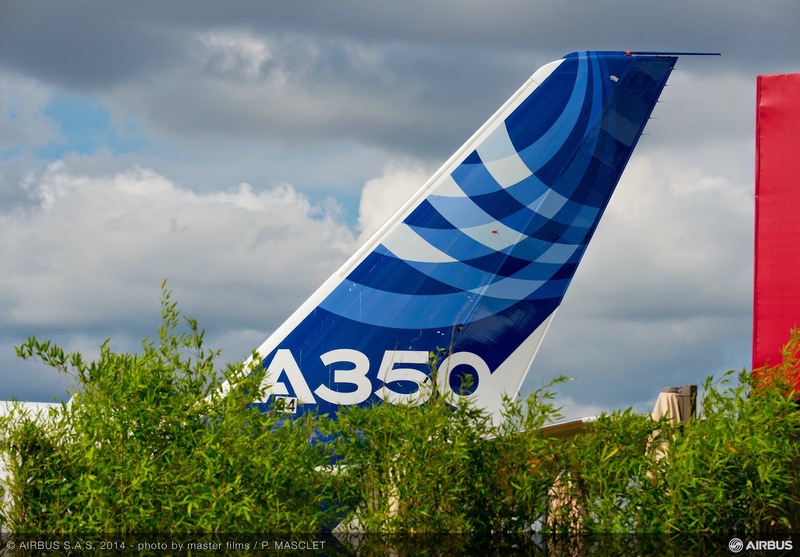 Program Executive Vice President Didier Evrard said the first A350-1000 tooling has been installed in partner factories in preparation for initial manufacture of subassemblies, which is scheduled to begin during the 4th quarter of this year. Examples include tooling for aft- and forward-fuselage side shell molds; center wingbox front, lower, rear and upper panels; pylon composite spars; and machining of landing-gear side-stay forgings. 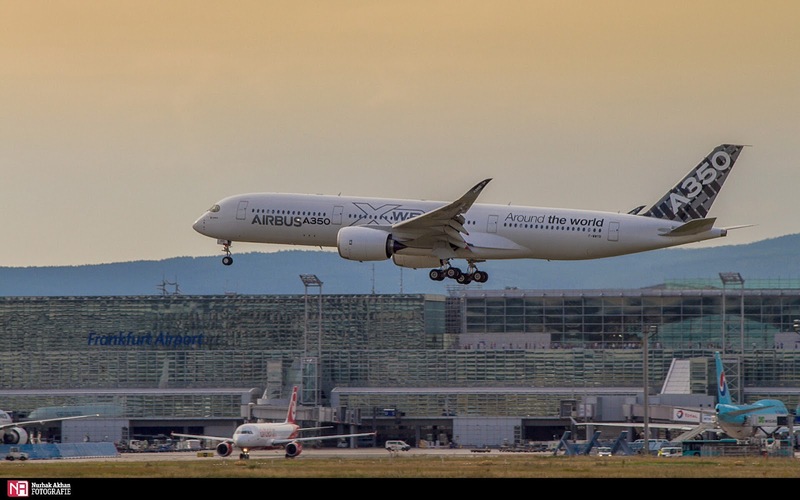 Airbus strategy and marketing executive vice president Dr. Kiran Rao claims that on long haul routes the A350-1000 will have cash operating cost (COC) per seat some 25% lower than that of the current Boeing 777-300ER. 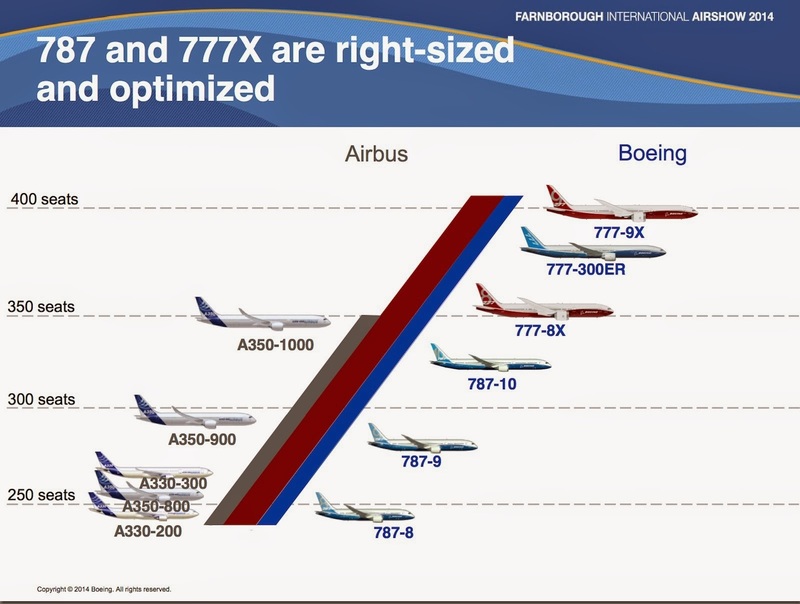 Compared to the 777-9X, Rao estimates a 5% COC-per-seat benefit and 15% COC-per-trip advantage (assuming a two-class cabin layout over 4,000 nm, fuel price of $3 per U.S. gallon, and with the A350-1000 and (10-abreast) 777-9X configured for 369 passengers and 405 passengers, respectively). Airbus has started manufacturing forgings for the root joint on the centre wing-box of the A350-1000. Centre wing-box assembly will commence by the end of this year with the aim of delivering it to the St Nazaire plant in 2015. 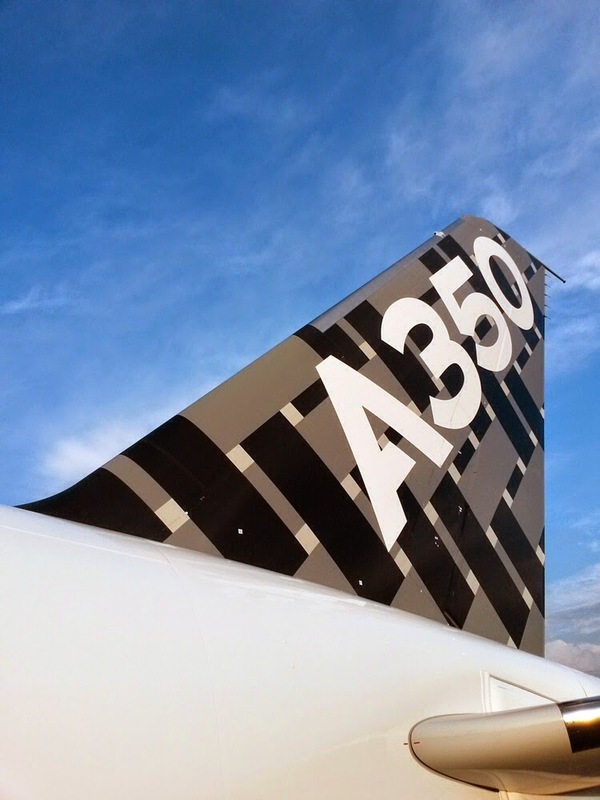 A350 programme chief Didier Evrard, speaking during the Farnborough air show, added that Airbus started work on carbonfibre wing-box covers in June at Stade and Illescas. He said these components have a long lead time on the A350-1000 and amount to “the longest pole in the tent”. Based on the article “First A350-1000 parts take shape” published in Flightglobal. A350-1000 engine overview (2/4). 1st engine run carried out. Video. 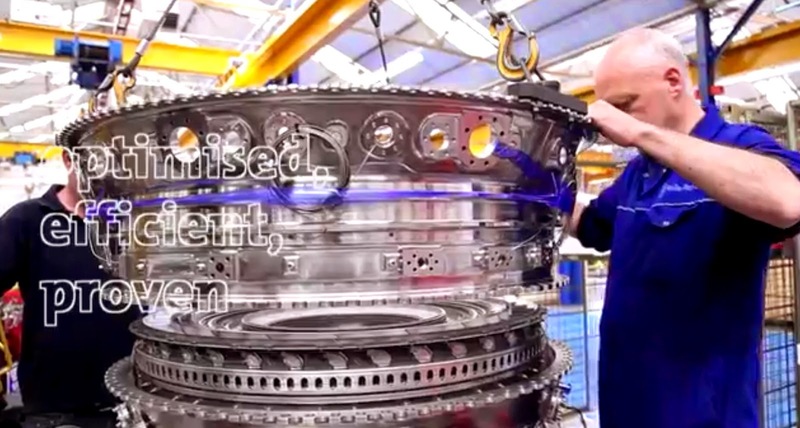 Rolls-Royce has just carried out the first run of the higher-thrust Trent XWB-97 engine which will power the A350-1000. 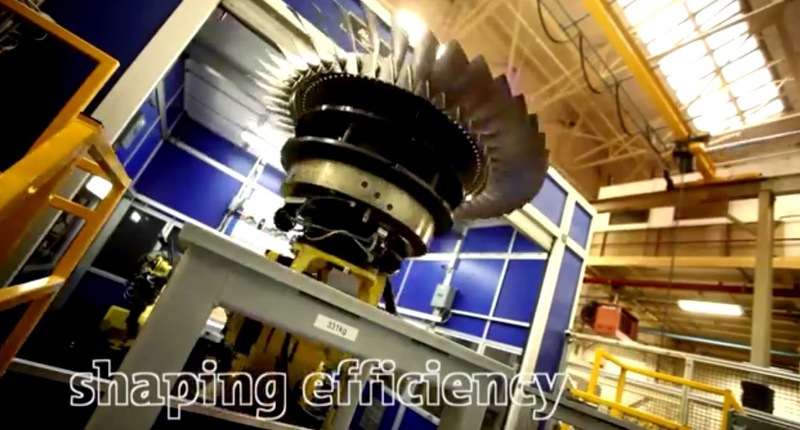 The powerplant is scheduled to fly on a testbed next year, with Airbus aiming to fly the A350-1000 by mid- to late 2016 ahead of service entry in the 2nd half of the following year. 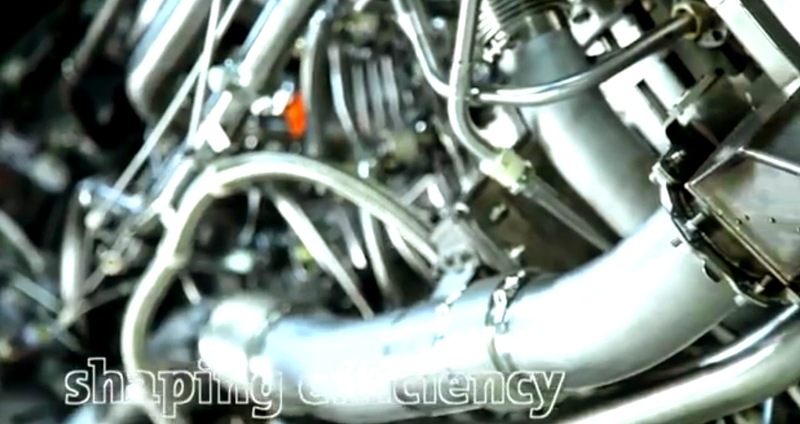 The engine is the exclusive powerplant on the -1000, complementing the XWB-84 for the A350-900, and will begin test flights in 2016. “All the experience we gained in the Trent XWB-84 test programme will help us optimise development of the XWB-97,” says Trent XWB programme director Simon Burr. 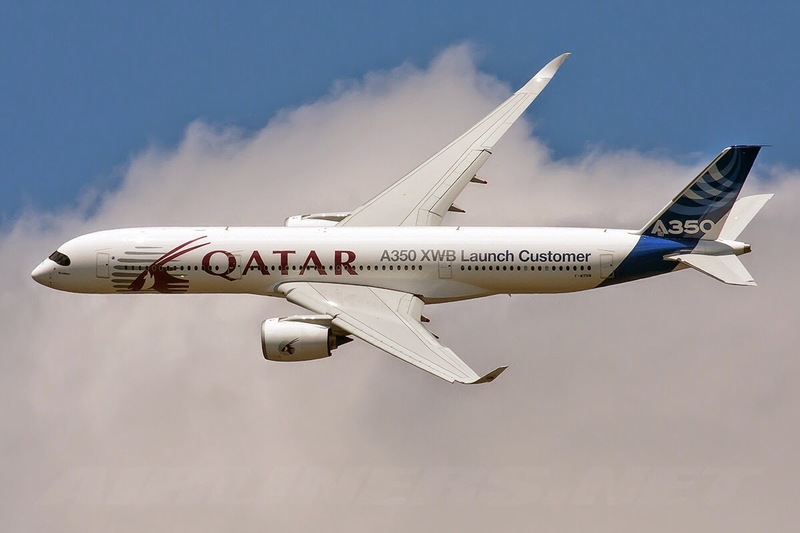 The A350-1000, which has accumulated 169 orders, is due to enter service in 2017 and Qatar Airways is also the launch customer for this version. 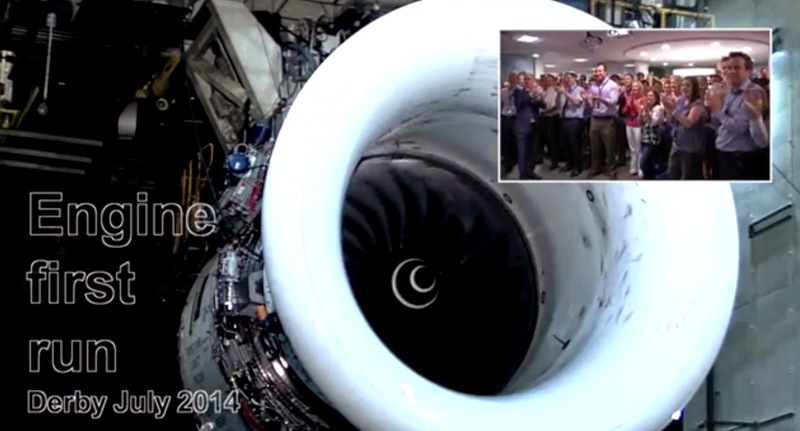 All pictures are video-captures via Rolls-Royce. Establishment of systems-installation design maturity is said to be “on plan,” while work continues on the variant’s structural design phase, which will permit the start of engineering drawing. Structural design maturity “incorporating all requirements” also was completed by mid-June. 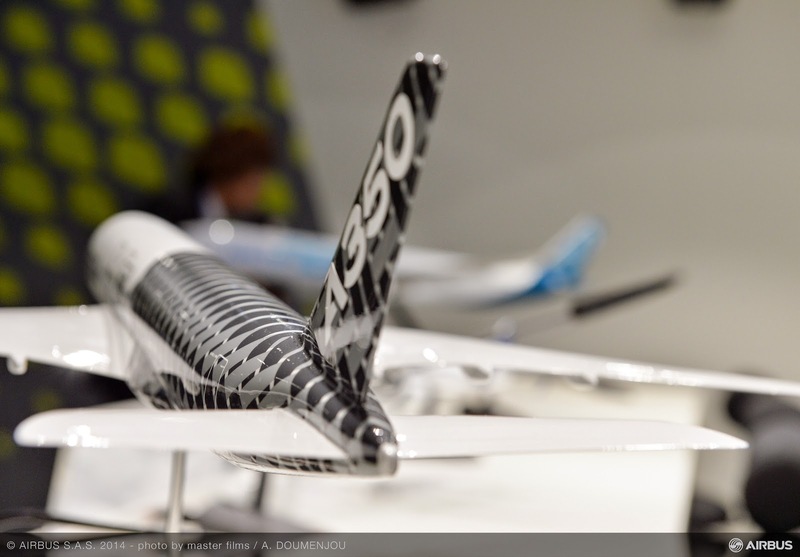 The A350-1000 is already benefiting from the manufacturer’s experience with the A350-900. Evrard specifically cited 2 examples claimed to represent latest innovations: carbon-fiber-reinforced polymer door surrounds and engine-pylon composite spars. 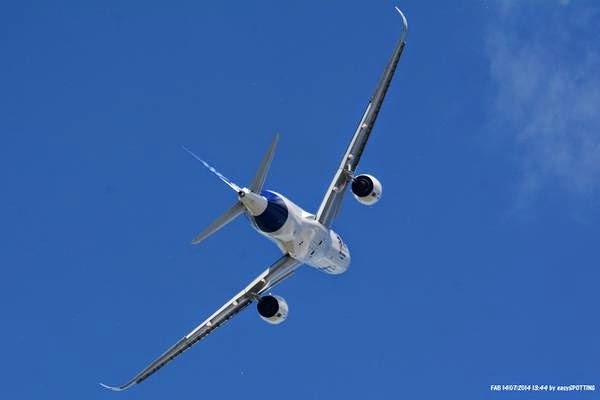 Because Airbus needs to shorten the new variant’s overall testing time (relative to that for the initial model), it is making more extensive use of simulation, said Evrard. Airbus has nominated Andreas Fehring as the new COO of Premium Aerotec starting next 1/August. This important movement is part of the Intervention Plan in place in the German Tier1, only one year after Airbus nominated Christoph Hoppe as the CEO of Premium Aerotec. In the case of the CEO, Christoph Hoppe was since 2009 the Head of Human Resources of Cassidian, and labour director of EADS Deutschland GmbH. He previously worked for Airbus; in 1999 as responsible of the strategy and corporate development of Airbus in Germany. Later, from summer 2000 he was in charge of development and production planning in the operations area of Airbus in Toulouse. 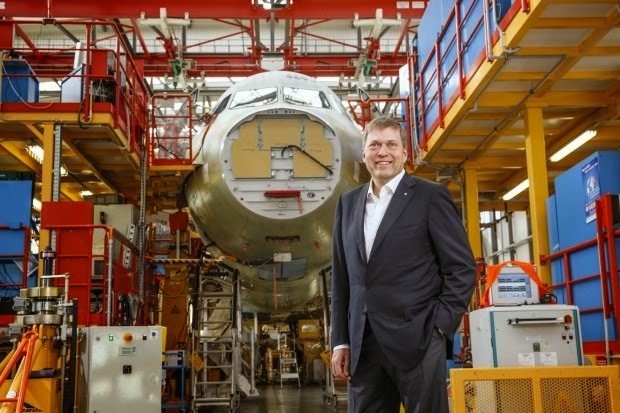 At the end of 2002 he assumed operational responsibility for the development and series production of Airbus cabin equipment and simultaneously held the position of CEO of the then subsidiary Aircabin in Laupheim, Germany. From 2006 he represented the EADS Group as the Head of Political Affairs Germany. 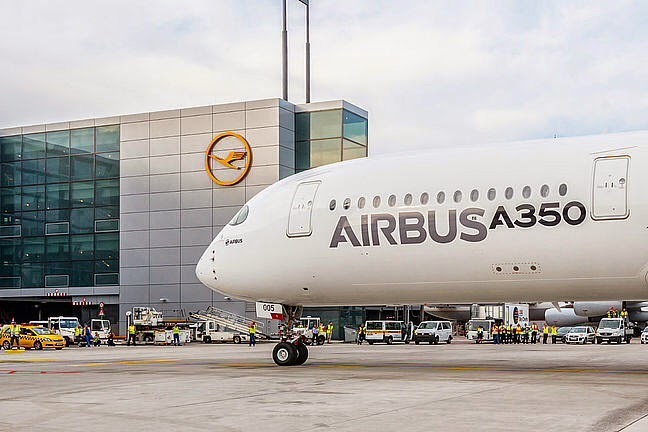 In the case of the new COO, Andreas Fehring is currently A350 senior vice president, head of fuselage and cabin (K9) reporting directly to Didier Evrard. In this position he has been closely collaborating with the program management of Premium AEROTEC since several months. Andreas Fehring has a broad management experience in aviation industry: after mechanical engineering studies he started as a development engineer at Airbus at the age of 26. A wide range of tasks in development, sales and program management at Airbus followed. 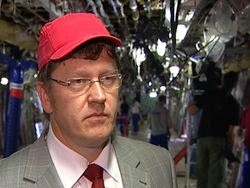 From 2006 onwards he was in charge of the A380 program management. 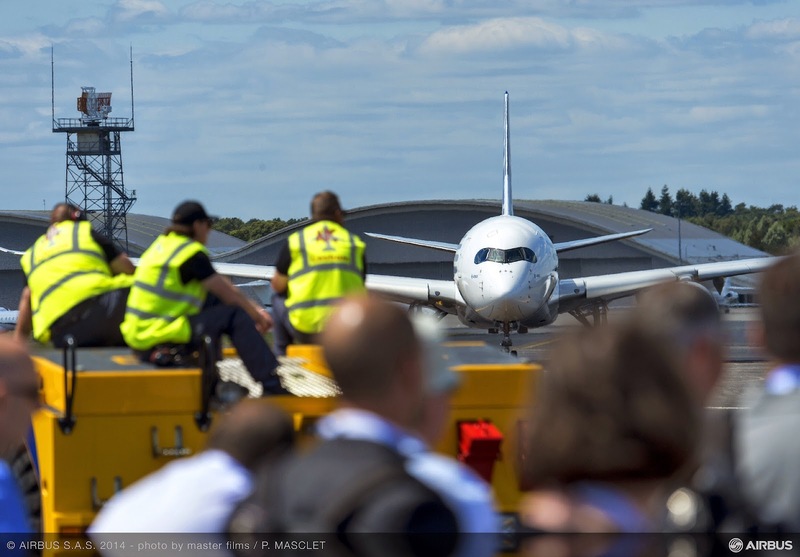 Figeac Aero will open a factory in Saint-Nazaire after winning a $60 million contract with Spirit AeroSystems for the manufacturing of 2 fuselage-floor-structures for the A350 XWB. Deliveries will begin at the end of this year and will continue until 2019, when the contract should be extended. 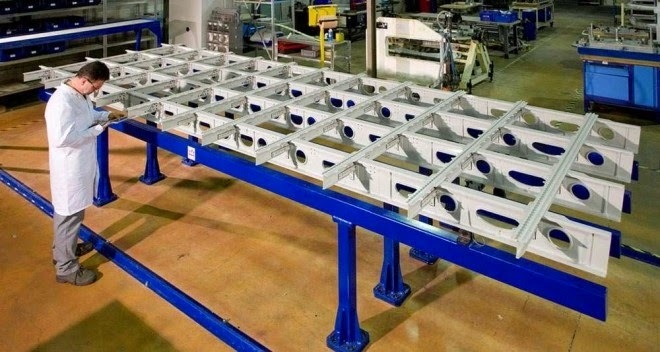 The Work Package consist of 2 metal subassemblies (8x6 meters and 6x4.5 meters each) for the floor of the central fuselage section of the A350. "We are already manufacturing the floors for the A320 and A330, but this one has a record size for us" welcomes Jean-Claude Maillard, CEO and founder of Figeac Aero. 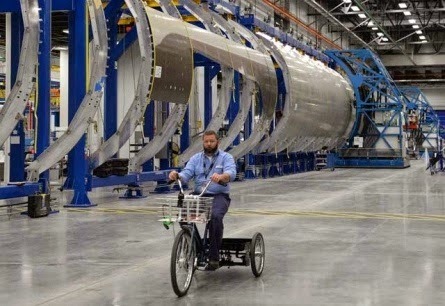 The metallic detail parts will be manufactured in its plants in Figeac (Lot) and Tunisia, and the final assembly of the fuselage floors will be done in a new site at Montoir-de-Bretagne near Saint-Nazaire, where Spirit Aerosystems assembles the central section of the A350 fuselage. Based on the article “Figeac Aéro va fabriquer les planchers de l’Airbus A350” published in Les Echos. 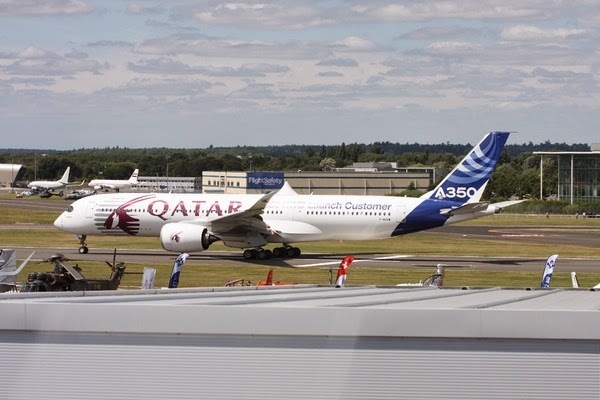 Only 4 A350 XWB commitments in Airbus 'Best Ever Farnborough Air Show'. 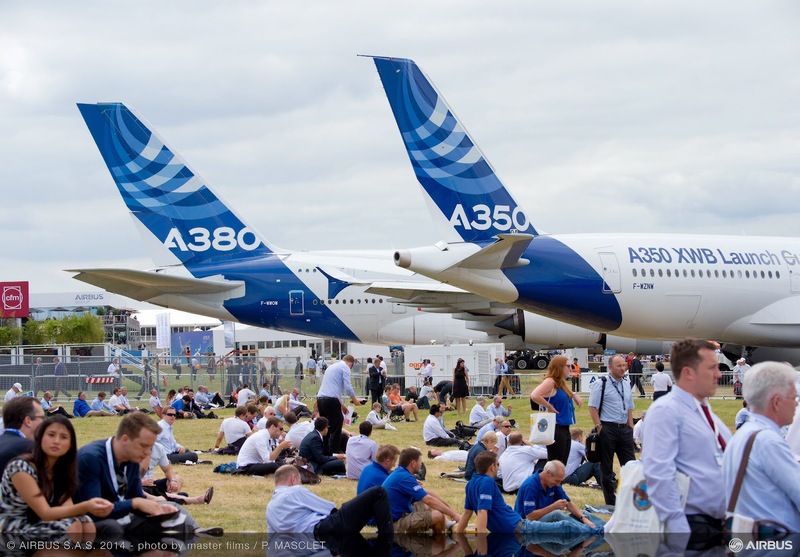 Airbus signed firm orders for a total of 358 aircraft and MoUs (memorandum of understanding) for a further 138 at the Farnborough Air Show. Concerning the A350 XWB family, unique customer announcement has been a MoU for 4 A350-900s with Air Mauritius. 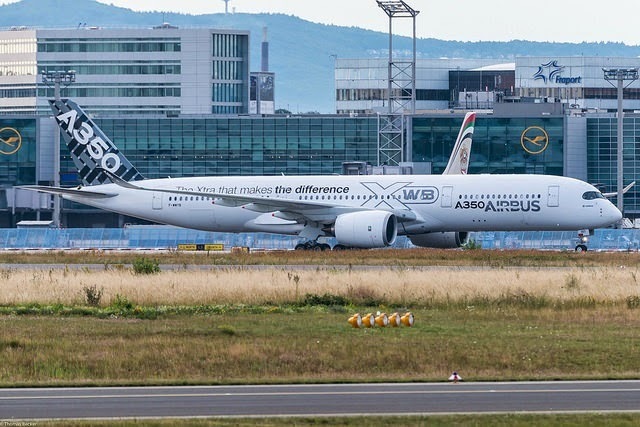 Poor balance comparing Boeing's figures and those 121 commitments for the new A330neo, presented as "the perfect complement of the A350 XWB family". 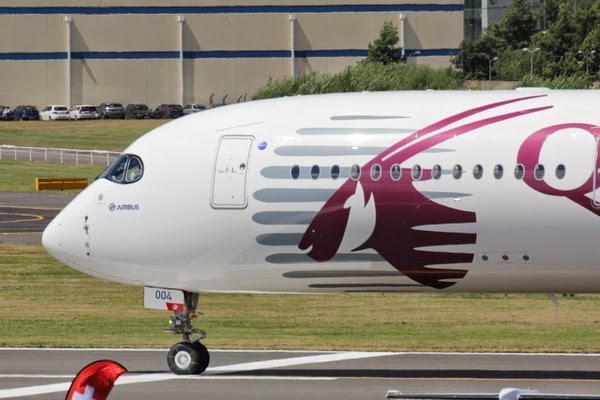 Boeing has signed orders & commitments for 201 airplanes, but for the wide-body segment, it has secured 18 Boeing 787-9s and 50 777-9Xs for Qatar. Only one week after the huge order of 150 777-9X by Emirates. 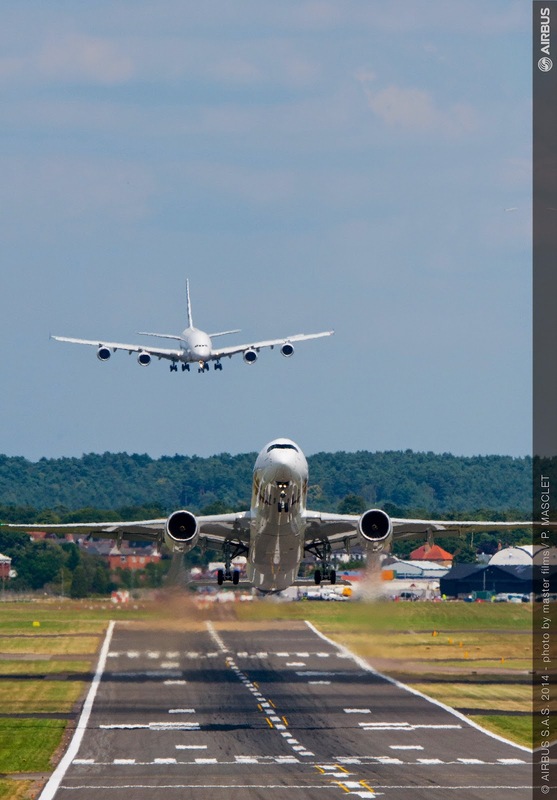 Based on the article "Airbus Has Had 'Best Ever Farnborough Air Show' " published in Aviation Week. 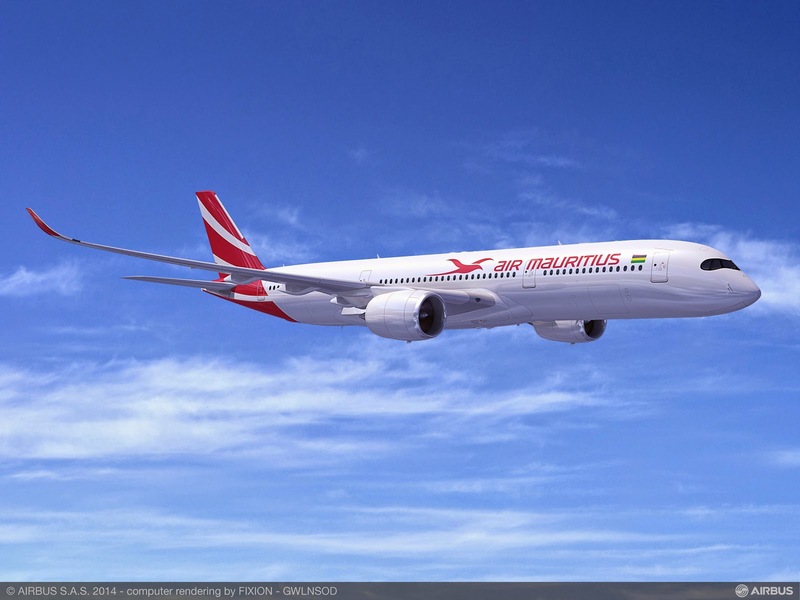 Air Mauritius orders 4 A350-900s. Total of 746 orders as of today for A350 family. 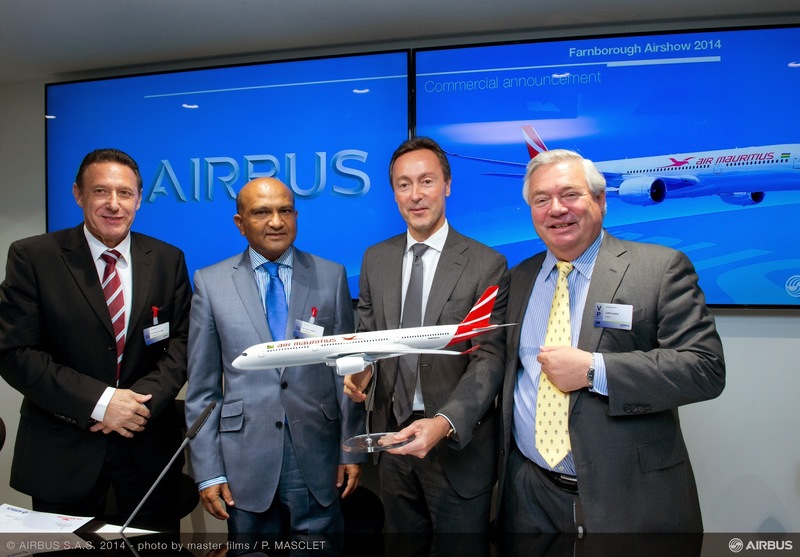 Air Mauritius, the flag carrier of Mauritius has decided to expand and modernise its long-haul fleet with a MoU (Memorandum of Understanding) for 4 A350-900 aircraft. The agreement was announced during the Farnborough International Airshow 2014. 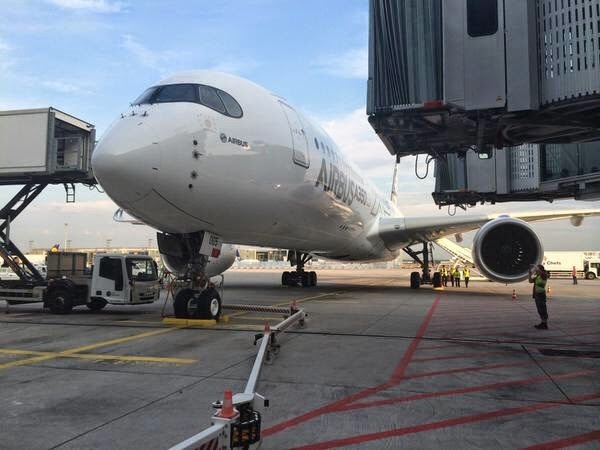 The airline has also announced that it is leasing 2 more A350-900s. 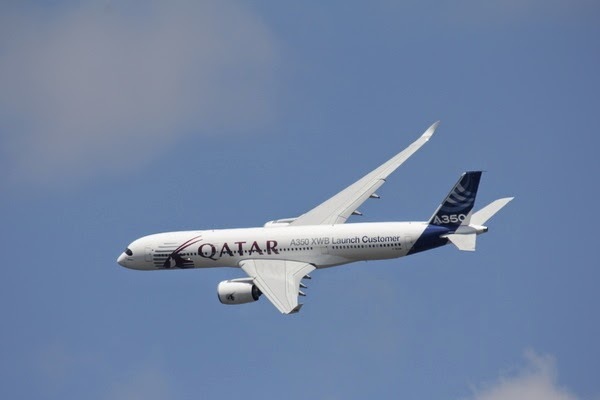 The 6 A350 XWB will be operated on European, Asian and Australian routes. Air Mauritius, recently awarded a 4-STAR Skytrax rating, currently operates 10 Airbus aircraft including two A330-200s and two A319s. “The A350 XWB combined with the A330 suits Air Mauritius’ entire long-range network and will be key to modernising our fleet while significantly reducing our operational costs and environmental footprint. It is the game-changer we were looking for,” said Andries Viljoen, Air Mauritius’ Chief Executive Officer. Someone has reserved 'A350-300' Internet domains.